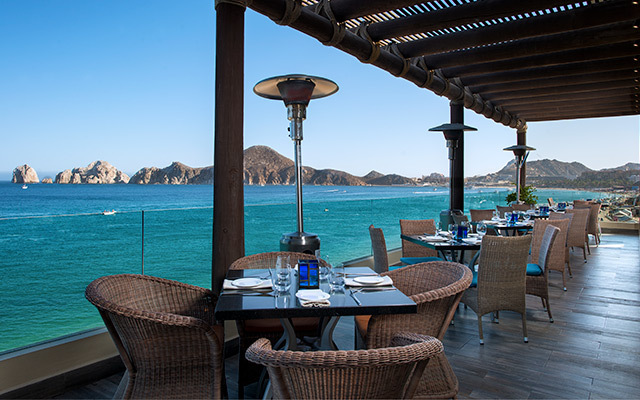 Among the best restaurants in Los Cabos, Neptune is an ideal spot to share sunset cocktails while embracing the stunning views of El Arco and the Sea of Cortez that stretch out from the property of Villa del Arco Beach Resort & Spa. 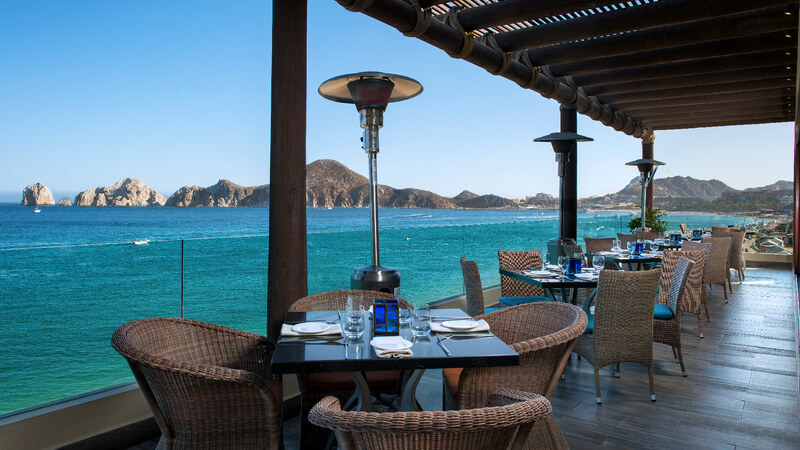 This romantic eatery that serves up delicious seafood and hearty meat dishes is Los Cabos dining at its greatest. The talented chefs combine classic French techniques with casual Cabo flair to prepare fresh local seafood at Neptune, a venue situated right on the water above Medano Beach. Our third time here. The friendliest staff ever. Property extremely well maintained. Delicious food and drinks. El Neptune restaurant is fabulous. Beautiful views. Lovely pool area. Steps to the beach You can’t go wrong. Love it here. The succulent flavors of mouthwatering seafood are the highlight of the menu at Neptune, a Cabo San Lucas Restaurant named after the Roman God of the Seas. At this wonderful eatery, guests can enjoy a variety of cold and hot appetizers, fresh fish, and even a number of hearty meat and poultry dishes designed to satisfy cravings and delight the senses. Pulling inspiration from the coastal towns of Mexico, Neptune offers fresh seafood dishes that include everything from shrimp and fish to more exotic options, such as chocolate clams and coconut mussels. As one of the best restaurants in Los Cabos, guests can expect an adventure for the senses as heavenly aromas, exquisite flavors, and contemporary presentations abound at the seaside restaurant. The success of Neptune, as with all of our Cabo San Lucas restaurants, is due in large part to the talented chefs who work hard to bring innovative techniques, fresh ingredients, and sensational recipes to the table. 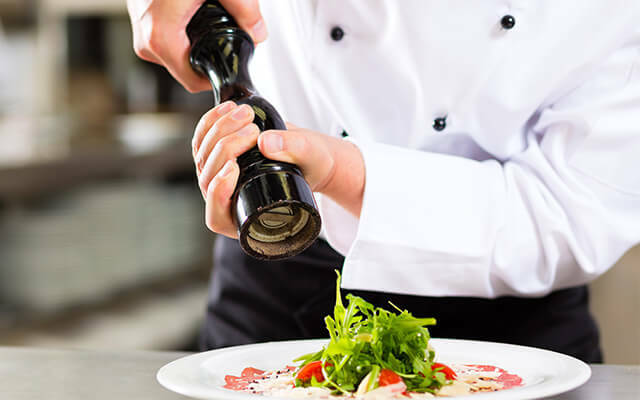 Their passion for cooking and vast culinary experience contribute to the overall grandeur of this Los Cabos dining experience, making it one of the best restaurants in Cabo San Lucas. 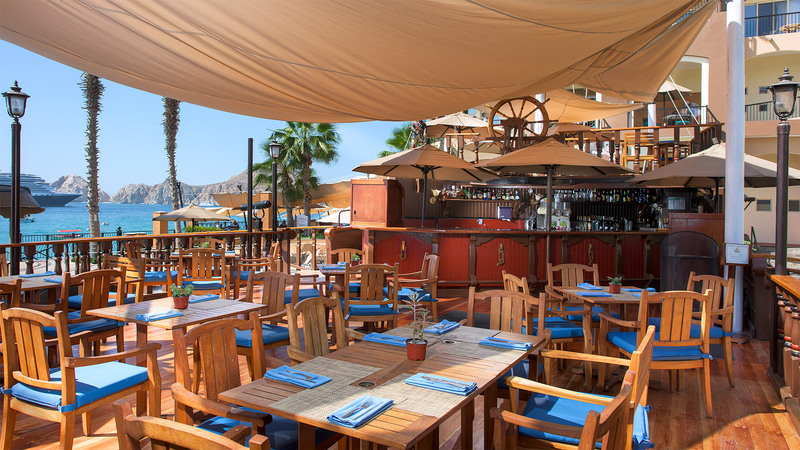 As one of the top restaurants in Cabo San Lucas, Neptune offers much more than just exquisite seafood platters and one of the largest wine selections in the city. It is truly a place of indulgence, where sweeping ocean vistas, a calming decor, and a rich al fresco dining experience come together to soothe your senses and pamper your palate. The romantic ambiance, fresh seabreeze, and subtle aromas set the tone for a magnificent Los Cabos dining experience you can enjoy with a loved one or with larger groups of family and friends.